News just in from Frank Grzeszczak at International Yacht Collection of another $1 million price cut on the 45.7m motor yacht Carpe Diem II. She was refitted in 2011 and again earlier this year, including new bottom paint. 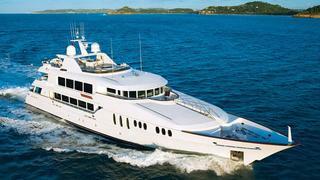 On display at the Fort Lauderdale show, Carpe Diem II is now asking $15.5 million.